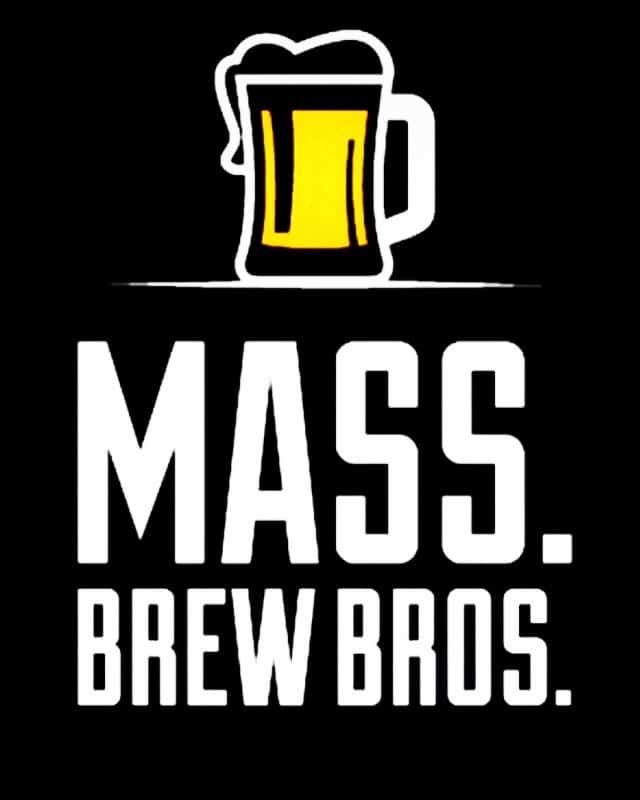 PRESS RELEASE / December 15, 2017 (Framingham, MA) Exhibit ‘A’ Brewing Company in Framingham is proud to have raised $1,225.59 to help Homes for Our Troops, a Taunton based charity that builds accessible homes for disabled veterans. 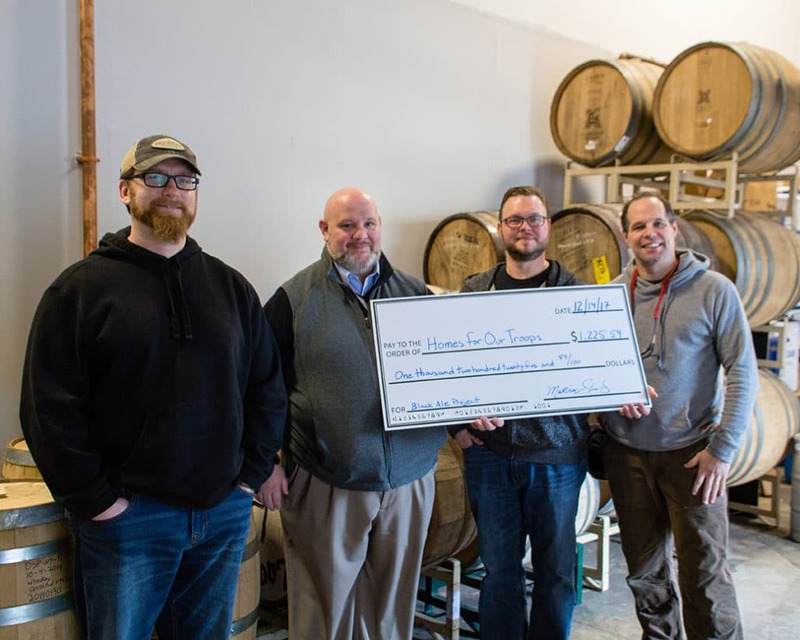 The money was raised through taproom draft sales of their beer called Hard Corps, a whiskey barrel aged imperial stout brewed specifically in support of The Black Ale Project. This beer started off as a 9.9% ABV imperial stout brewed with locally roasted malts from Valley Malt. It was then transferred into oak barrels from Breuckelen Distilling that were previously used to age their 77 Whiskey – Distilled from Rye and Corn. After a 9 month rest in the oak barrels, it was prepared for kegs and then served exclusively in the taproom. 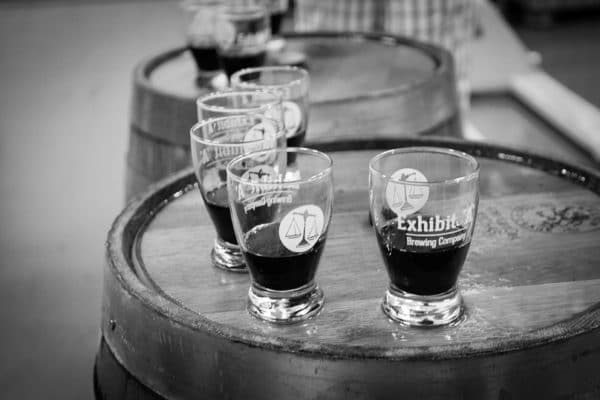 The Black Ale Project is a craft beer initiative to raise money and awareness on behalf of U.S. war veterans. As a former active duty Marine and non-combat veteran of the Persian Gulf War, supporting our war veterans is an important cause to Dave Pappas, its founder. The Black Ale Project itself isn’t a charity organization but an idea he came up with to help veterans in need. As of today, 33 breweries have brewed a beer in support of The Black Ale Project to support local veterans with even more in planning. Pictured L-R: Dave Pappas from The Black Ale Project, Matthew Murphy from Homes for Our Troops, Kelsey Roth from Exhibit ‘A’ Brewing Company, Matthew Steinberg from Exhibit ‘A’ Brewing Company.